1. L'Oreal Infallible 18-Hour Never-Fail Makeup I bought both products shown below and I am not kidding- for the first time ever, my makeup did not wear off! I was sweaty at an interview (TMI?) on a hot summer's day and when I came home, my makeup was perfect! In fact, I still looked pretty darn good when I woke up the next morning! Try it, you'll see. 2. Nexxus Salon-Quality Shampoo (Split-End Repair) I got a free sample of this in the mail and thought I'd try it out. All I can say is, "WOW!" My hair looked GORGEOUS! I have purchased expensive shampoos/conditioners in the past (actually, a recent one cost $60 and made my hair look like a damp dog) but none were really as good as this. My highlights were slightly grown out and after using this, people were asking if I just got my hair done. It's a neat find. 3. Wendy's Berry Almond Chicken Salad This is SUPER-YUMMY and comes with a FAT-FREE berry vinaigrette that is to-die-for. You must understand, I hate FAT-FREE dressing but this I ran out and bought after eating it. This salad is so sweet, salty, and fresh and it was so refreshing paired with their Wild Berry Tea. Perfect for a hot summer day! 4. 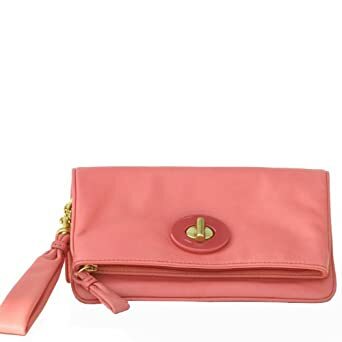 Coach Pink Leather Wristlet Okay, so this was my one summer splurge. You don't have to spend as much on a wristlet if you don't want to, it's just the idea that is so great. There are cute ones at more affordable prices everywhere! This one is my fave because it is just so PINK and I LOVE PINK! I carry this with me all the time when I am running to the mall, to get an ice cream, or to my son's swim practice. It is much lighter than a purse and fits just what I need! You deserve something great for yourself, so pick one up if it won't break the budget! 5. Scotch Thermal Laminator I know, not nearly as fab as number 4, but hey, I am a teacher, right? ;-) I have spent most of my summer laminating my teaching resources and preparing for the school year ahead. This little baby does a great job! 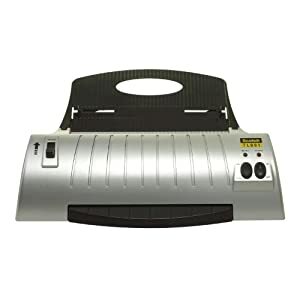 When I go back to school, I won't have to stand in the long line waiting to use the laminator. Nope, my stuff will be ready! I get to smile and wave at my teacher-friends as they wait and move on to the next task. Maybe, if they're really nice, I'll bring mine in and let them use it. Maybe... Anyway, you absolutely need to get your hands on one of these. They are awesome and I simply buy the Scotch Thermal Laminating Pouches in a 50-pack for around twelve bucks. Super way to get organized before the school year begins! I have the laminator! I absolutely love it and am happy I got it. Isn't it the best? I try to do as much as I can at home so I don't have to waste time when I'm at school. What kinds of things do you laminate at home? I'll stop over and join your blog if I haven't done so already! Hi Leanne! I haven't started teaching yet, but I've laminated things already for when I DO become a teacher! I laminated notebook paper not too long ago so kids could write on it and erase easily. I also am going to laminate my awards that I give to kids so they don't get bent up. AND I also recently laminated numbers to put next to the analog clock to help students figure out the time using digital numbers! 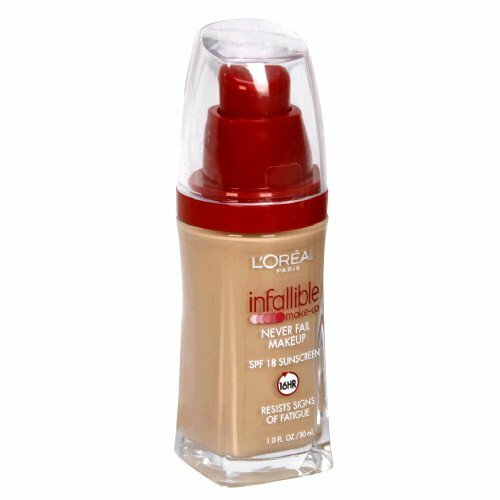 I love Infallible makeup. It does stay on for a long, long time. I like a soft pink lip gloss for the summer it looks great with a tan. Your blog is really beautiful.